“Ships and sails proper for the heavenly air should be fashioned. "The truth is online learning is very new. We're still figuring all of this out." Harvard University and the Massachusetts Institute of Technology announced the launch of edX, a transformational partnership in online distance learning. 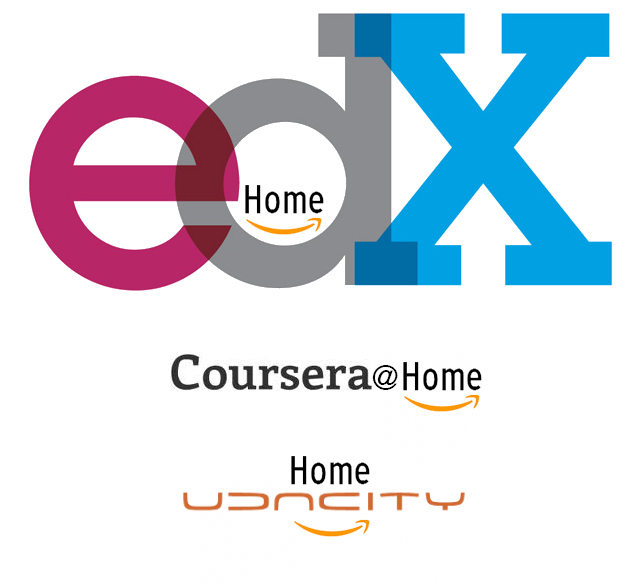 Through edX@Home, the two institutions will collaborate with home to enhance campus-based teaching through course material written into episodes (even showing an inter-planetary community of online learners). MIT and Harvard expect that over time other universities and entertainment entities will join them in offering courses on the edX platform. Collaborative courses involve video lesson segments, embedded quizzes, immediate feedback, student-ranked questions and answers, online laboratories, and student paced learning. Real-world applications are shown in each episode in Home to accompany online coursework. “EdX represents a unique opportunity to improve education on our own campuses through online learning, while simultaneously creating a bold new educational path for millions of learners universe-wide,” MIT President Susan Hockfield said. A person can no longer obtain a degree at 20 or 25 and then expect to be educated for the rest of their career. "It is important to understand education is a lifelong undertaking, not a one time thing." "Udacity is a totally new kind of learning experience. You learn by solving challenging problems and pursuing udacious projects with world-renowned university instructors (not by watching long, boring lectures). At Udacity, we put you, the student at the center of the universe. And if you are udacious enough, imagine yourself a research scientist at home." Passing a Udacity class is as demanding as passing a university-level class but students have a lot of fun along the way. Top-quality learning platforms could enable budget-strained community colleges in America to “flip” their classrooms. That is, download the world’s best lecturers on any subject and let their own professors concentrate on working face-to-face with students. "I believe we can get an entire computer science education completely online and free and I think this is the first time this has happened in the history of humanity." At Coursera we envision a future where the top universities are educating not only thousands of students, but millions. Our technology enables the best professors to teach tens or hundreds of thousands of students. Through this, we hope to give everyone access to the world-class education that has so far been available only to a select few. We want to empower people with education that will improve their lives, the lives of their families, and the communities they live in. Integration with home will reinforce courses through interactive exercises and real-world applications to the exploration, asteroid development, and the settlement of Mars. Are you ready for the challenge? Ready to work on Mars?